With speaker & bestselling crime novelist Qiu Xiaolong 裘小龙. 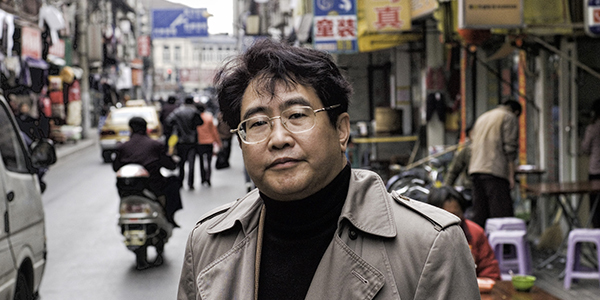 St. Louis-based author Qiu Xiaolong’s novels featuring Shanghai-based Inspector Chen Cao have been translated into numerous languages and sold over two million copies worldwide. Why have the Inspector Chen novels been so popular? What can detective novels tell us about contemporary Chinese culture and society? Come hear one of the world’s bestselling crime writers talk about the past, present and future of the genre, in China and around the world. A book signing will follow the event, and copies of Qiu Xiolong’s novels will be available at the event and at the UBC Bookstore. This event is sponsored by the UBC Modern Chinese Culture Seminar (funded by the Chiang Ching-Kuo Foundation), the UBC Centre for Chinese Research, and the UBC Department of Asian Studies.